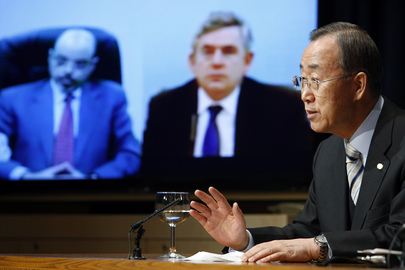 UNITED NATIONS, March 22 -- Ethiopian prime minister Meles Zenawi was named co-chairman, with Gordon Brown, of UN Secretary General Ban Ki-moon's advisory group on financing and climate change. Now Meles Zenawi is blocking radio stations in Ethiopia, accusing them of destabilizing and of being similar to Radio Milles Collines in Rwanda, in the run up to the May elections in Ethiopia. On March 22, Inner City Press asked Ban's spokesman Martin Nesirky to comment on Meles Zenawi's blocking of radio stations, especially since Ban had only recently named Meles Zenawi to a top UN advisory post. "I'm struggling to see the connection between climate change and banning radio," Nesirky said. Video here, from Minute 9:18. Inner City Press explained again, it's that Ban awarded Meles Zenawi his UN honor, only to see free press cracked down on. "I will have to look into the facts," Nesirky said. "You've called it a controversy but you've not spelled it out." He is jamming a radio station. Inner City Press might have added, staff at the UN facilities in Addis Ababa say that the Ethiopian government monitors all of their communications -- but the UN says nothing. Nesirky then praised radio in the abstract, especially in "parts whether other forms... are less readily available." Next Nesirky was asked by a radio reporter about the death by hunger strike of Orlando Zapata Tamayo in jail in Cuba. Video here, from Minute 14:40. The reporter had asked the same question before, and Nesirky said Mr. Ban was aware of Zapata's death, but had no comment. Later, after even Raul Castro had said he lamented -- or regretted, in the UN's translation into English -- Zapata's death, Nesirky told another radio station, Radio Marti, that the UN belated "joined" others in regret. 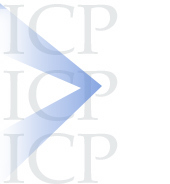 ICP: On the question of the UN's or S-G's view of the death of Cuban hunger striker Orlando Zapata, which was not answered when asked in a noon briefing but I understand was subsequently answered to Radio Marti, please email me the UN's answer / comment. UN's Haq: The Secretary-General joins others in expressing deep regret over the death of Orlando Zapata in Cuba. On March 22, Nesirky was asked, in light of other hunger strikers in Cuba -- read, Guillermo Farinas -- if Mr. Ban viewed Zapata's death as a violation of human rights. "I've told you already, clearly, the Secretary General joins others" in regret. "And that's all I have to say on the matter." So, silence on radio blocking by a just-named UN advisor, and reluctant comment on a hunger striker's death, without reference to the next one: Guillermo Farinas. One cynics opined, this is why the Non Aligned Movement thought they might be traction with a letter telling Ban he has no jurisdiction over human rights. We'll see. In Sudan, UN Still Hasn't Reached Jebel Marra in Darfur, Pre-Spins Election Criticism, Afghanistan Redux? "Dear Matthew, Kindly find hereby the answer to your question asked during noon briefing regarding Jebel Marra : Has UNAMID accessed Jebel Marra since the recent incident involving the Blue Helmets? "The Mission is hoping to materialize a security assessment in the next week with a view to then sending humanitarians." 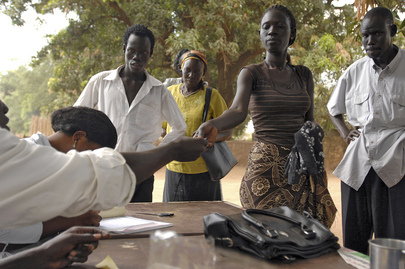 The UN's background briefing in advance of the April 11 elections in Sudan left correspondents scratching their heads. To many, it appeared that following the bad publicity the UN Mission in Afghanistan got, on phantom polling places and the like, the UN wants to "get out in front of the issue" in Sudan, and disclaim any responsibility for fraud. "It's not for us to judge," said one of the senior UN officials. "Our role is not as observers." 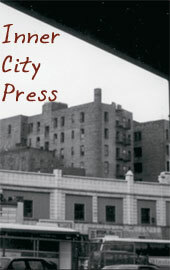 Inner City Press asked about blatant attacks on the press and on the ability of candidates to speak to the public. For example, Sadiq al-Mahdi being unable to broadcast, the National Press Council of Sudan grilling two editors for insulting Omar al-Bashir, a radio station in Juba shut down for a time. 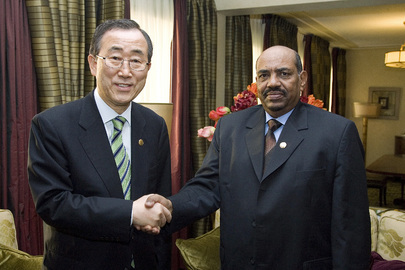 UN's Ban and Sudan Bashir in past: congratulations on your election? The senior UN official said that each incident was raised, behind the scenes, to the Sudanese authorities, presumably by new UNMIS chief Haile Menkerios. But if the trends of crackdown is raised but just continues, does the UN go public? UNITED NATIONS, March 15 -- The UN and its leadership have said that the elections in Sudan are a main focus for 2010, for their UNMIS mission which spends $1 billion a year. Yet when a major opposition party asks UN Secretary General Ban Ki-moon to look into and act on allegations that the printing ballots for the election was shifted from Slovenia to a government-connected printer in Sudan, UNMIS says it only provides technical assistance, and Ban's spokesman defers to UNMIS. 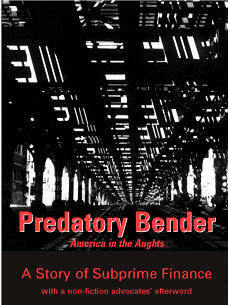 Ban's spokesman on March 15 told Inner City Press, "UNMIS has a very clear mandate." But does it? Even the chief of the UN Department of Field Support has said the mandate should be expanded (or is being too narrowly read). Since people will take the UN presence in Sudan and partial participation in the election as some assurance against the worst of irregularities, is it appropriate for the UN to say "we only provide technical assistance"? 'This requires investigation from the UN Secretary General on the actions of the UN official and his contribution towards fraud. We will submit a complaint to the UN Secretary General based on the response of the [NEC] commission memo.'... The commission said a bid for printing the voting slips was advertised and two Sudanese companies secured it and that due to time constraints one set of the cards was diverted from a Slovenian company to a Sudanese one stressing that at each step this process was made with the participation of UNMIS elections office." Nesirky pointed to a press release by UNMIS, picked up by Sudanese state media for the proposition tha the UN is only providing "technical assitance." But Inner City Press asked, what is Secretary General Ban Ki-moon's response to the Umma Party's request, directed to him by name, for an investigation? Video here, from Minute 14:47. Nesirky said that "UNMIS is on the ground... they provide guidance back to headquarters." Some thought that "guidance" is supposed to come from the leadership of the Organization. The mission on the ground might feed information back to headquarters, but ultimately UN Headquarters and Ban Ki-moon are responsible, no? "If a specific missive has been directed to the S-G," Nesirky said, "I'm sure some response will be made." He added he was not aware of any such "missive." Umma has said it will "submit a complaint to the UN Secretary General" -- what is the protocol? Watch this site. Footnote: Inner City Press asked a Sudanese government representative about the ballot printing issue, and he responded by saying that the Umma Party is mad at the UN because Ban's most recent report was "too pro government." He and Khartoum like this. UNITED NATIONS, February 22 -- How did the UN settle on Haile Menkerios as its top envoy to South Sudan? Inner City Press has been told, by an extremely well placed source, that the UN put forward other names: UNICEF's Hilde Johnson, Indian diplomat Atul Khare who served in Timor L'este, as well as "a Tanzanian." That Ms. Johnson's hat was in the ring implies she already knew she would not get the top post at UNICEF, for which the U.S. has nominated Anthony Lake. 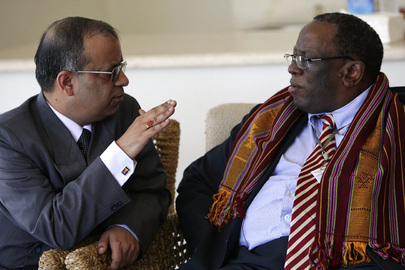 Also suggested to the UN for the Sudan post was former South African ambassador to the UN Dumisani Kumalo. Sudan let it be known that it would only accept an African. And so, the source said, Ban Ki-moon decided on Menkerios. "He is from Eritrea, but he was given the job as South African." Some say that means he cannot differ with Thabo Mbeki, former South African president and now Sudan intermediary. It also shows that the UN has very few people who understand anything about Africa, said the source. please email EP's position, on Mr. Gambari and how he was reportedly selected, as soon as you can for inclusion. Thanks for your query. I'm sorry that most of my policy team is travelling or on vacation. We won't be able to provide anyone for an interview. Now, the EP's co-founder belatedly chimes in of Gambari, "it's still to be seen whether he will be able to have any impact or whether he will simply be another placeholder in a long line of people who have had almost no impact on the situation in Sudan."